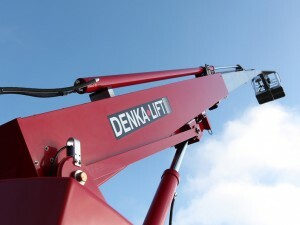 When limited access or weight restrictions prevent the use of standard boom lifts, the DENKA lift series represents a cost efficient, simple and effective solution. 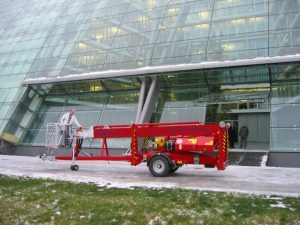 With standard features that allow the lift to pass through single door openings, travel and set up on virtually any surface and reach work heights between 72ft to 92ft, the DENKA has become the work horse for facilities around the world with moderate reach requirements and limited access. We have resources in financing to get you the equipment you need. Denka is back under new ownership! 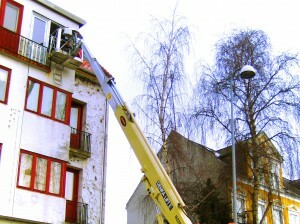 Denka lifts are cost effective and easy to use and feature an impressive 72' - 92' work height with single standard doorway access.